NEEDED: A NEW JERSEY COURT REPORTER, YESTERDAY! If this is the case, then let’s get that covered now. Just click “Schedule a Deposition” or call (855) 847-0999 to speak with an experienced team member. Discovery Litigation Services was founded by a court reporter with over twenty years of experience providing clients the highest levels of service at affordable prices. When it comes to finding the right New Jersey court reporter, it’s imperative you operate from a place of strength and expertise. The Discovery Litigation Services’ team possesses unbridled skill , experienced in a variety of case sizes, to provide you exactly what you need. 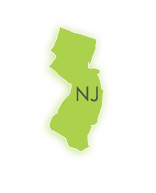 Hiring your New Jersey court reporter doesn’t have to be a long nor painful process. Let us handle the legwork to ensure that you not only get the most reliable New Jersey court reporter, but the most qualified court reporter for your case. It might sound surprising that you can happen upon court reporters who lack attention to detail. That is just unacceptable. When your chief responsibility is to certify the accuracy of the official record, not having the mind, concentration, or focused eye to do that job is a dangerous liability to a deposition. We’ve all heard stories of a court reporter who submitted an almost completely unintelligible final court transcript. Why?! There is no excuse. Don’t risk your time money and reputation on unreliable, untested freelancers. There is too much at stake, there is too much that can go wrong if a court reporter isn’t able to handle their job effectively. Discovery Litigation Services implements a network of qualified court reporters experienced in various case sizes because not all court reporters were created equally. Not all court reporters are skilled in the same ways. Not all court reporters have all the same resources, and having just one court reporter to rely on when a conflict of interest arises between your court reporter and the opposition will set back your entire timetable. Discovery Litigation Services has more at its disposal than a single freelance court reporter. Connections, expertise, a staff of experienced professionals, and the technological knowhow to make your efforts run smoothly. The Discovery Litigation Services toolbox isn’t restricted to just court reporters. We offer the most comprehensive solutions to fulfill every single one of your needs. For instance, do you need a Chinese speaking translator in the Mojave desert? We’ll handle it! Don’t let language barriers stand in the way of a clear and accurate record. Get the information that is needed whether it’s in Aramaic, Chinese, or Spanish. Discovery Litigation Services is ready to provide you with an interpreter anywhere in the world interpreting in any language you require. Don’t settle for one off solutions. Discovery has the network of professionals ready to deploy on your behalf. Tracking down a court reporter, an interpreter, a legal videographer, and on and on and on can become tiresome and is a dangerous timesink. Don’t fall into the trap of analysis paralysis getting bogged down in the vetting process again and again. Make a decision to implement the resources Discovery Litigation Services is ready to put into your hands. For complex cases Discovery Litigation Services will provide a realtime feed to the interpreter. Allowing for a more accurate translation enabling the interpreter to view each question in its entirety while translating to the deponent. Get an experienced court reporter anywhere you need with realtime ready court reporting enabling the fast production of accurate transcripts and decades of experience serving as the backbone of your deposition. Quickly review gigs and gigs of deposition footage with free video-to-text synchronization and spend less time sifting and sorting. Our videographers are well versed in deposition protocol. With careful training, Discovery's videographers learn to make the best use of the environment they will be shooting in, always with the mindset of ensuring that the ultimate use of the video - the playback - will be of the highest quality. Utilizing the latest in technology, our videographers are equipped to capture a direct feed of a document camera, computer or video player to allow for a high definition capture of the demonstrative evidence being put before a witness simultaneously placing the witnesses image within the same frame. This allows for much more powerful playback later allowing for the viewer to be able to see what the deponent and what he is looking at simultaneously. The experience and expertise we offer doesn’t stop there. Discovery Litigation Services offers Alternative Dispute Resolution, Discovery Corporate Services, Document Review Attorneys, Trial Presentation Services, and more. The Discovery Litigation Services management is beyond comparison. We treat our team right and invoke an enthusiasm and dedication that is imbued in all of our team’s work. We operate on a high level of customer service and are dedicated to your success. We foster a one-on-one relationship and give every case the personal touch it requires.